Will A Deferred Adjudication Show Up on a Background Check? The question below was posted recently on an HR message board. My response follows. Employee just told me he was involved in a car accident (non-work related/not on company clock) and was arrested for DUI/reckless driving. He’s considering deferring the case, which means the conviction would be put in ‘pending’ status while he completes a treatment program. The question he has – will this show up on any background checks since it’s not technically a conviction? It will depend on two factors: (1) in what state the position is located and (2) who conducts the background check. Employers are not prohibited from considering dismissed cases in most states and there is no prohibition of this under federal law. If you conduct your own background check by directly checking the records of the county in which the person had the case, you will almost certainly see the dismissed case, often with a note that it was dismissed upon completion of deferred adjudication probation. If you use a background screening company to conduct this research, they may or may not report the case based on several considerations. First, the Fair Credit Reporting Act prevents screening companies (“consumer reporting agencies” in the parlance of the FCRA) from reporting non-convictions older than seven years unless the individual is expected to earn more than $75,000 annually. Additionally, a few states prevent screening companies from reporting non-convictions regardless of age – even when the employer can legally consider the record. In those cases, you shouldn’t see the deferred adjudication case on a background check. Also, rather than try to keep up with the ever-changing laws at the state and local level, some screening companies only report convictions to their clients. Some only report convictions for seven years, in fact. In other words, they are trying to ensure compliance by creating a one-size-fits-all rule nationwide. You would have to ask your screening company about their policy. Imperative’s policy is to report all records that we can legally report to our client, regardless of age or disposition. Where the position is located in a jurisdiction that prohibits employers from considering certain records based on age or disposition, we do not report those records to our client unless they’ve requested otherwise (we don’t want to give them the rope to hang themselves with). The next question is likely whether it is “fair” for an employer to consider deferred adjudication cases that were dismissed. To enter into such a agreement with the court, the individual must plead guilty or no contest to the offense. If they fail to meet the terms of the probation, the court can use their plea to find them guilty without a trial. Given that the court believes that the defendant’s plea is sufficient to convict the defendant, it is certainly reasonable for the employer to believe that the person engaged in the conduct alleged. And remember, the whole reason for asking about criminal history or conducting background checks is to identify past behavior that may suggest that the person is a risk in their prospective or current employment. The focus should be on the behavior and its relationship to the position. 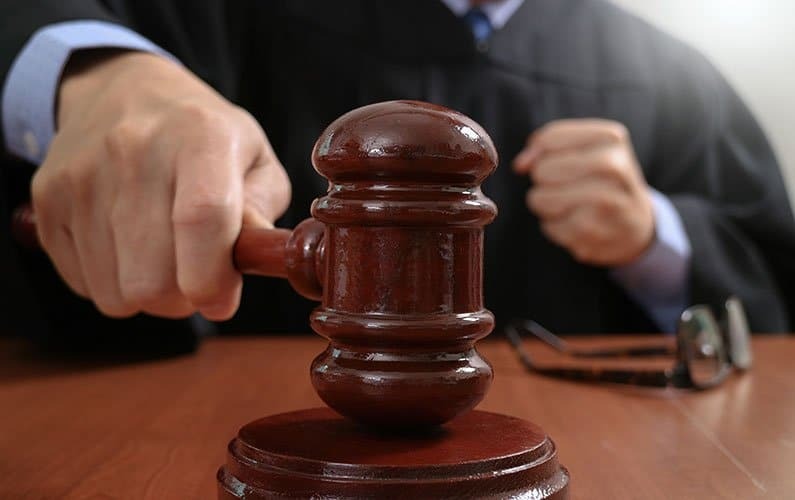 Finally, in many jurisdictions, a defendant can petition the court to seal or expunge cases dismissed upon completion of deferred adjudication. Once this has happened, the case should not show up on any background check, with the possible exception of those performed by the government for security-sensitive positions.